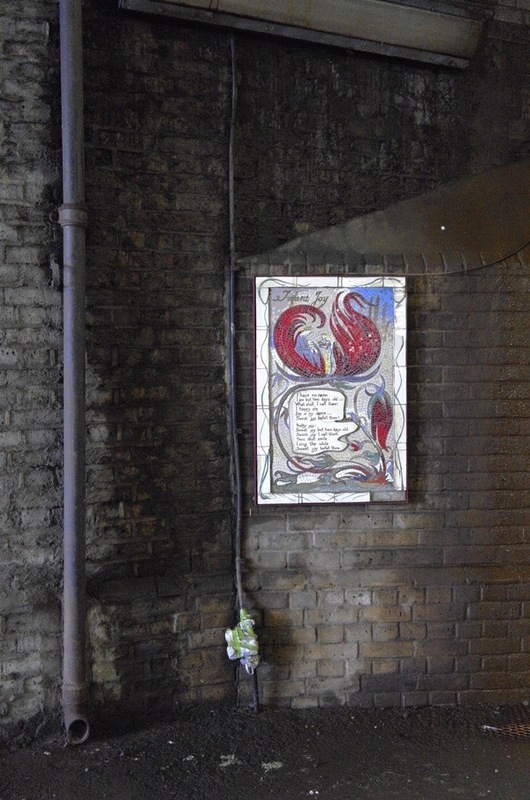 If you wish to visit William Blake’s Lambeth, just turn left outside Waterloo Station, walk through the market in Lower Marsh, cross Westminster Bridge Rd and follow Carlisle Lane under the railway arches. 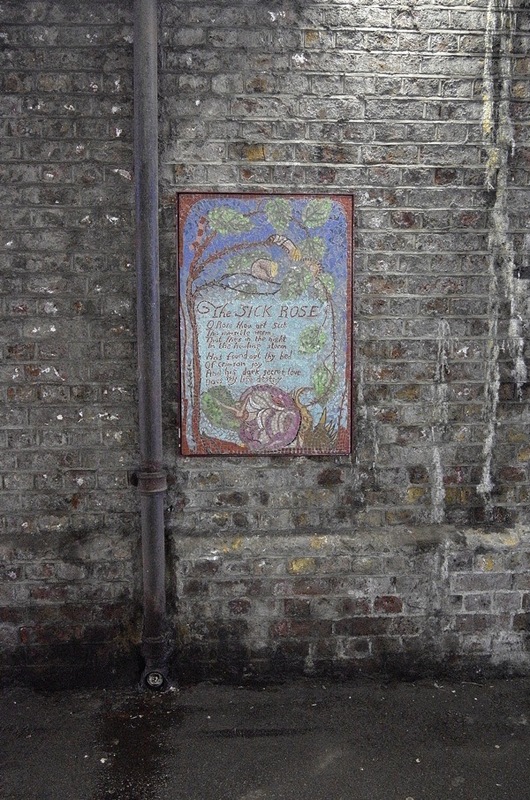 Here beneath the main line into London was once the house and garden, where William & Catherine Blake were pleased to sit naked in their apple tree. 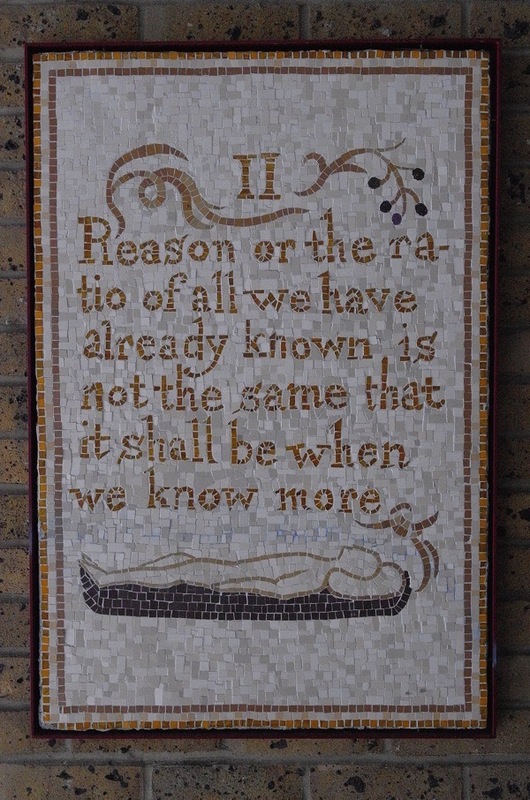 Yet in recent years, William Blake has returned to Lambeth. 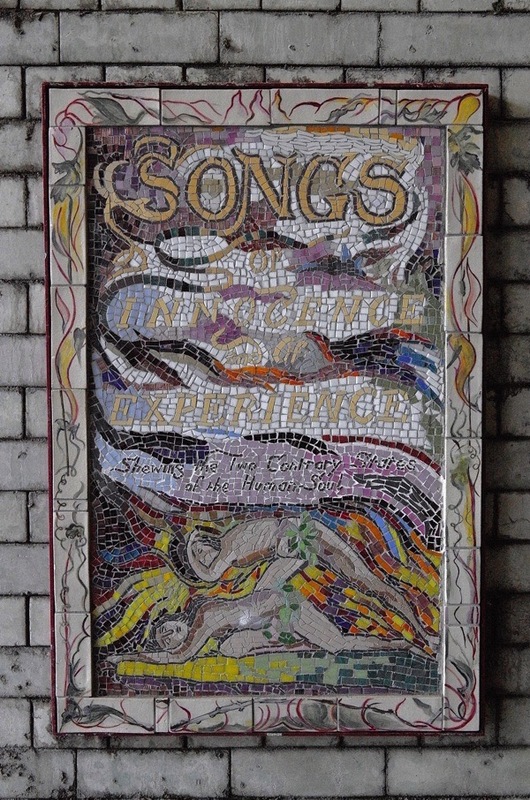 Within the railway arches leading off Carlisle Lane, a large gallery of mosaics based upon his designs has been installed, evoking his fiery visions in the place where he conjured them. 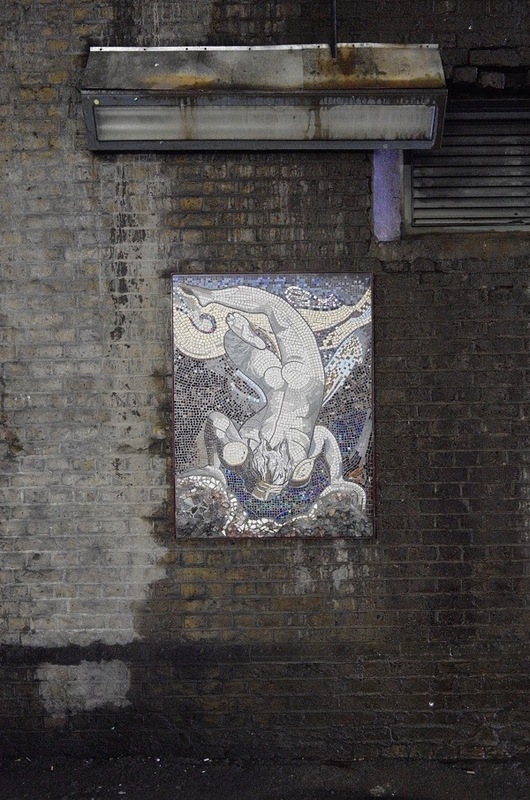 Ten years work by hundreds of local people have resulted in dozens of finely-wrought mosaics bringing Blake’s images into the public realm, among the warehouses and factories where they may be discovered by the passerby, just as he might have wished. 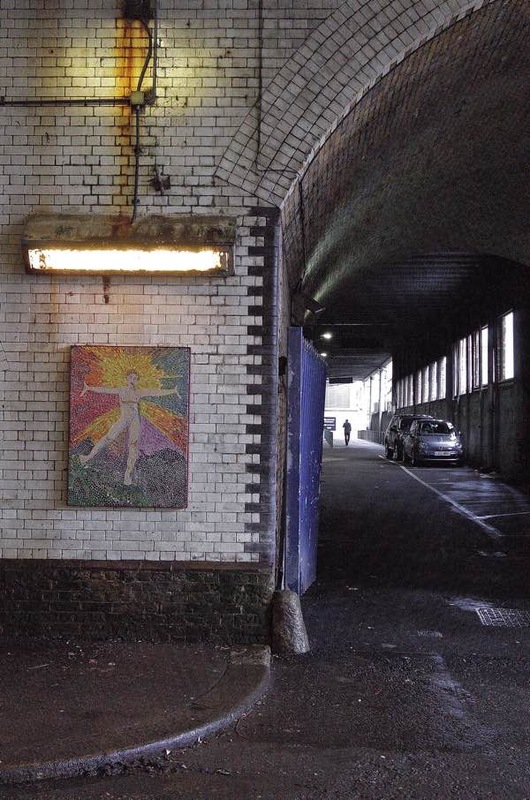 Trains rumble overhead with a thunderous clamour that shakes the ancient brickwork and cars roar through these dripping arches, creating a dramatic and atmospheric environment in which to contemplate his extraordinary imagination. 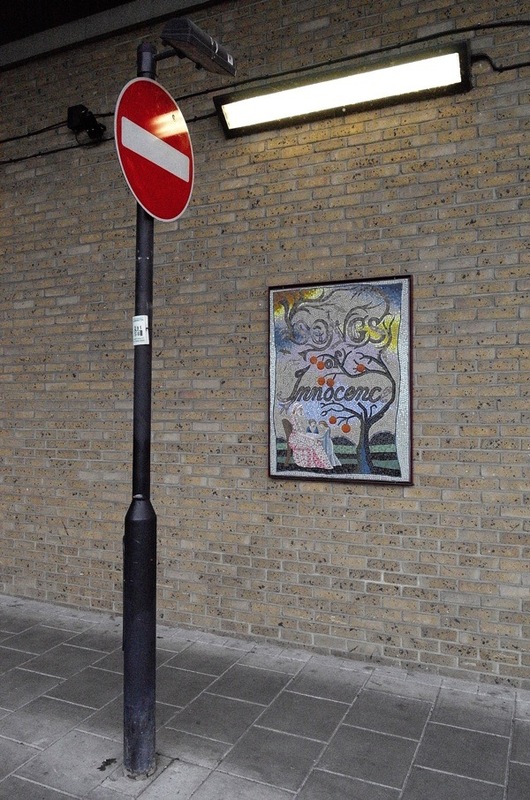 On the south side of the arches is Hercules Rd, site of the William Blake Estate today, where he lived between 1790 and 1800 at 13 Hercules Buildings, a three-storey terrace house demolished in 1917. 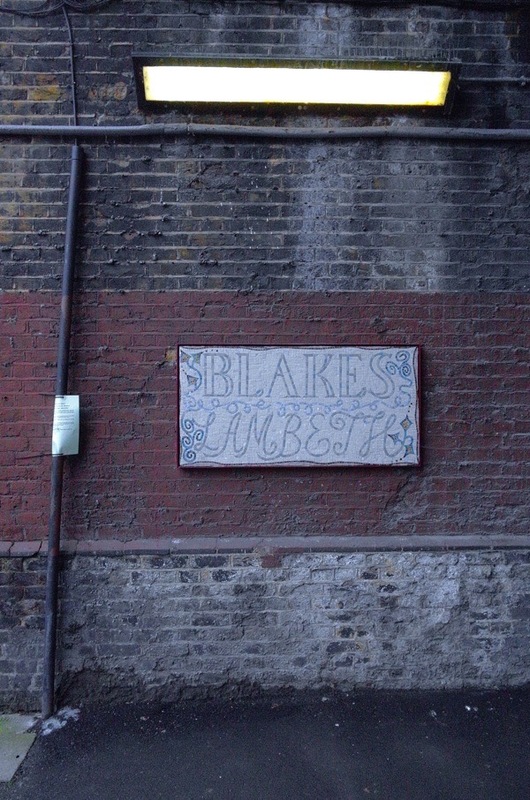 Blake passed ten productive and formative years on the south bank, that he recalled as ‘Lambeth’s vale where Jerusalem’s foundations began.’ By contrast with Westminster where he grew up, Lambeth was almost rural two hundred years ago and he enjoyed a garden with a fig tree that overlooked the grounds of the bishop’s palace. This natural element persists in the attractively secluded Archbishop’s Park on the north side of the arches, where I found celandines and fritillaria in flower this week in the former palace grounds. 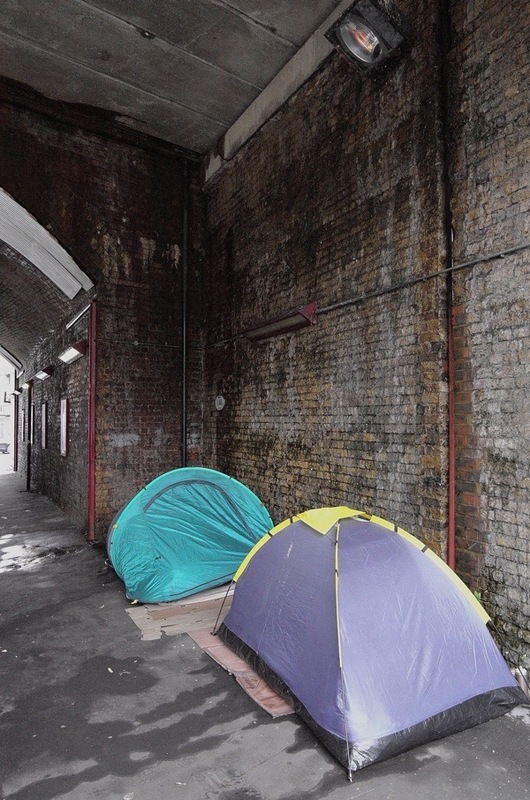 To enter these sonorous old arches that span the urban and pastoral is to discover the resonant echo chamber of one of the greatest English poetic imaginations. 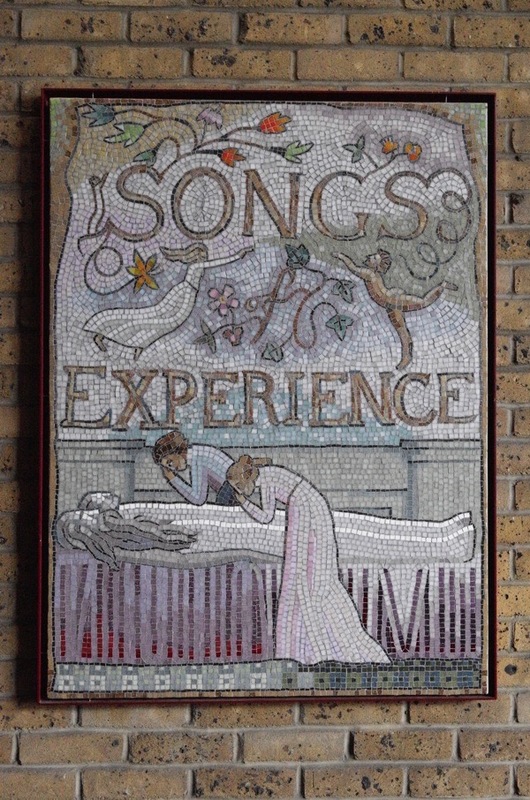 When I visited this week I found myself alone at the heart of Lambeth yet in the presence of William Blake, and it is an experience I recommend to my readers. How serendipitous. Only yesterday (probably as you were writing this) I was looking at some old photos, post-war, of this exact spot and wondering about Archbishops Park. It would seem from the images that this part of London took a big pounding during the last war and a lot of clearing went on. 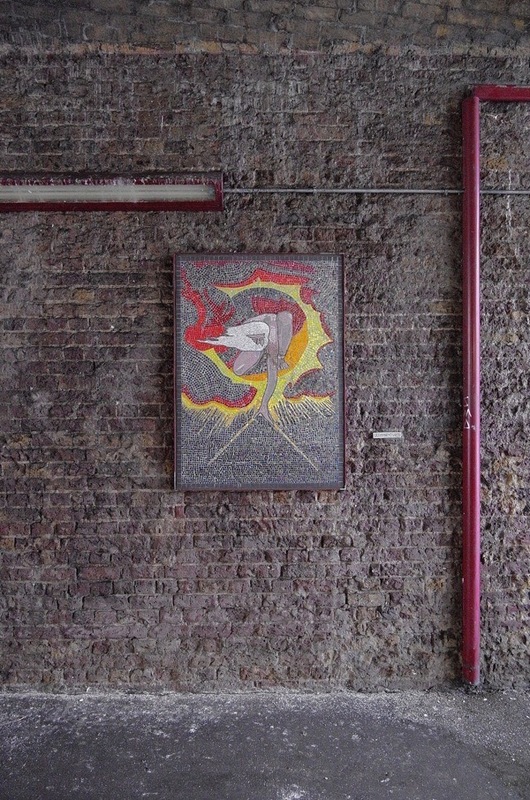 Those mosaics are a wonder. This posting is exactly why I keep coming back for more….. 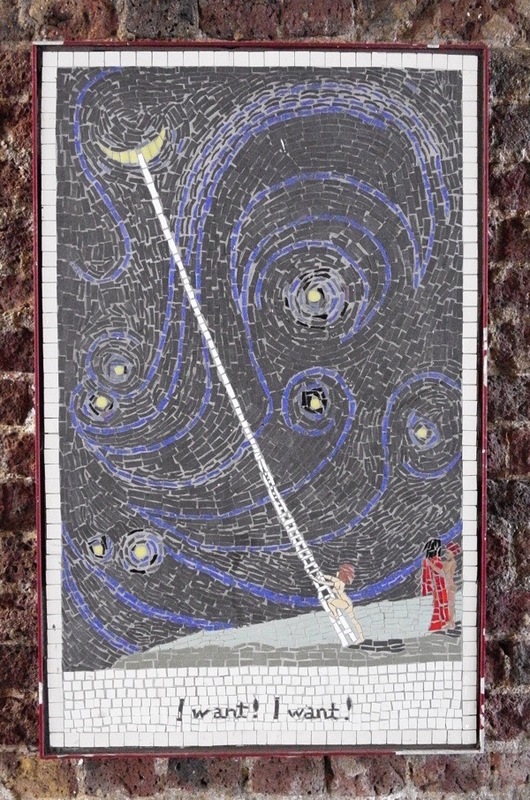 Discovery, revelation, surprise, curiosity, astute story-telling, and compelling images. These murals, and their surroundings, fill me with fascination. The “familiar” Blake pages have never looked better. Goodness, what a tribute. Thank you for this post which is truly inspirational. 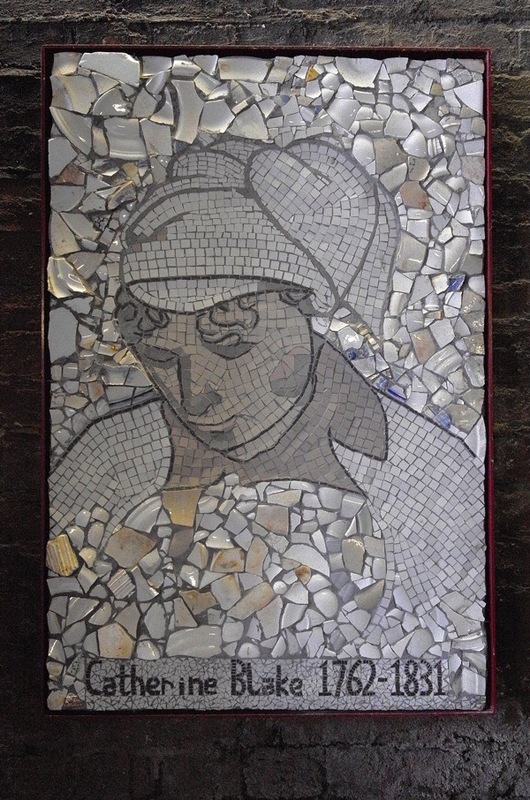 The mosaics are a wonder, my congratulations and thanks to all who had a part in them. I hope WB enjoys them. 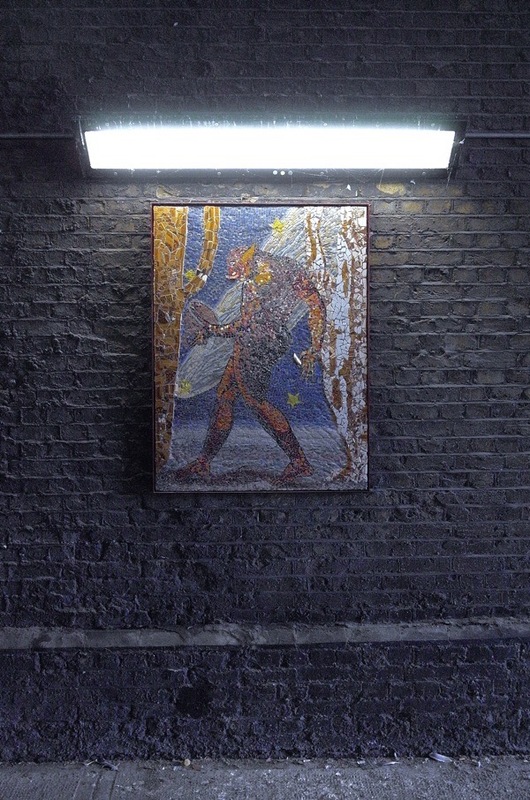 GA, yet another wonderful London find – gracias. 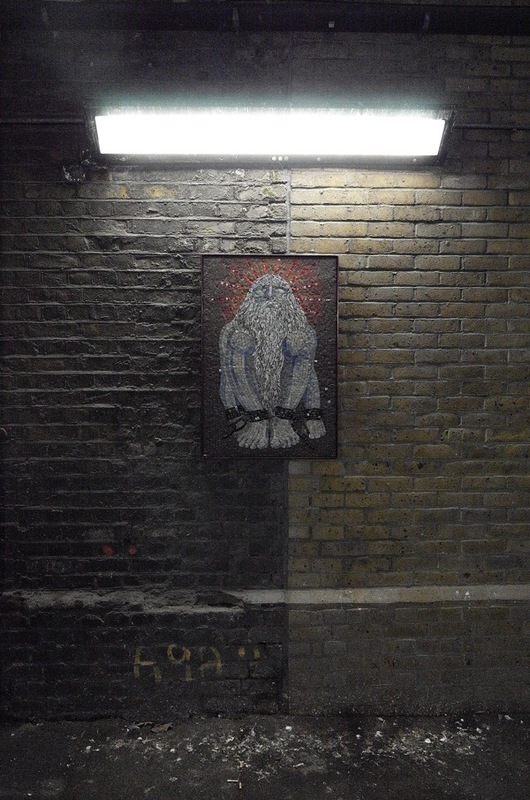 Great artwork for commuters to contemplate while stuck in city traffic. 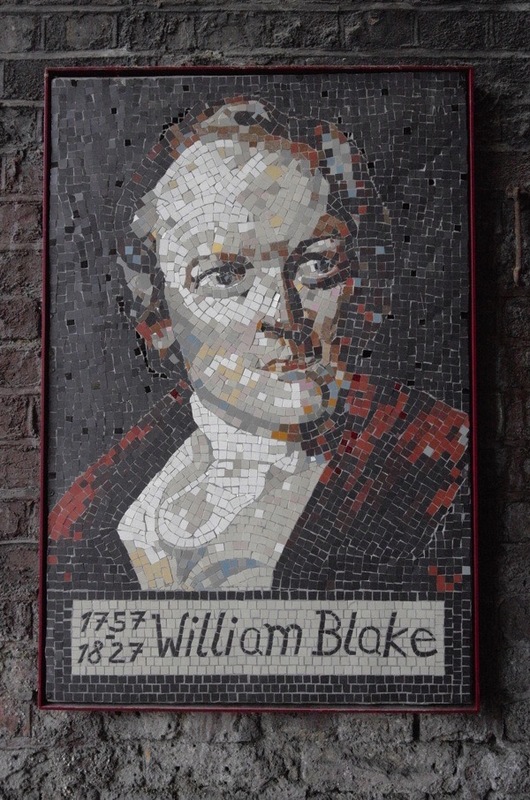 I particularly liked the closeup of William Blake himself. 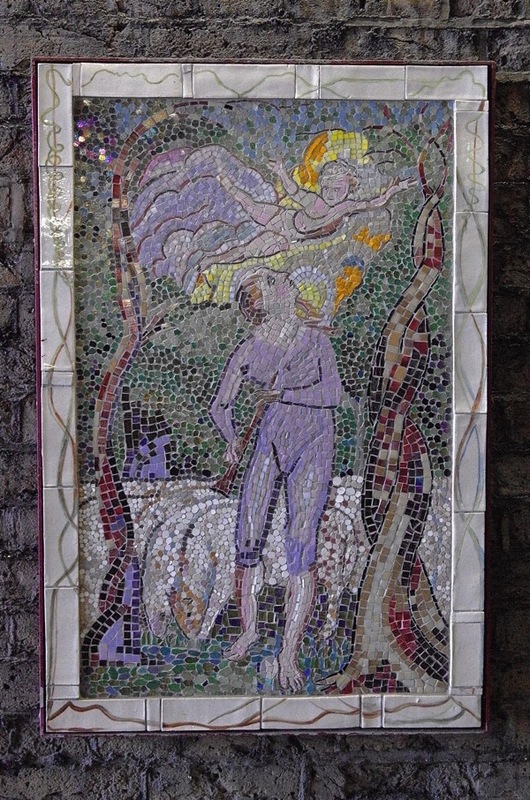 And such a variety of styles by these mosaic artists. Who knew? How wonderful! Thank you for sharing these. I follow you everyday and visit many of the places you mention. 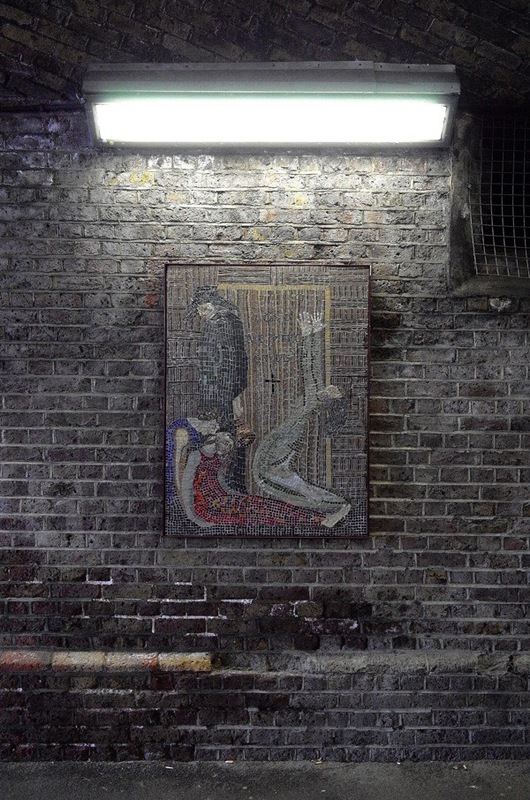 I am going to Waterloo now so will digress to these mosaics. Thank you. And thank you for your talk on East End Verncular artists. Thank you. Lovely creations inspired by a true genius. Blake deserves more attention. 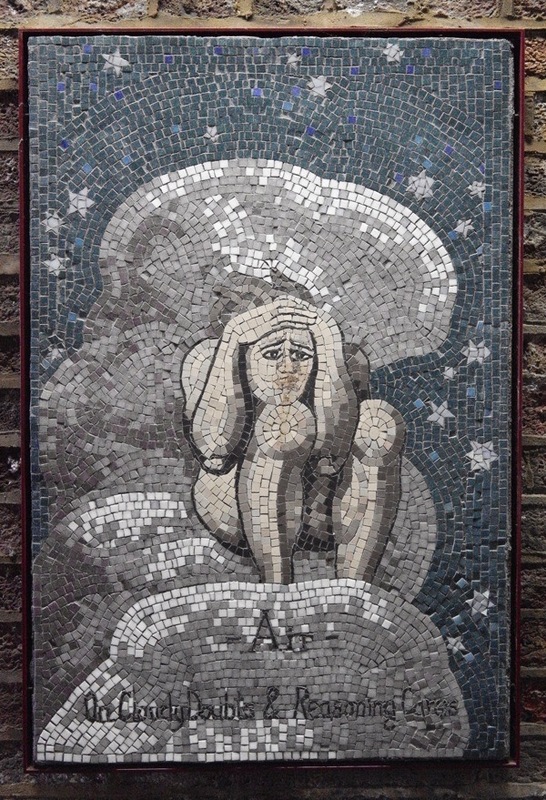 I`m a great admirer of Blake, but knew nothing of this, so thank you GA. A must visit, the next time in London. Some extraordinary work here. 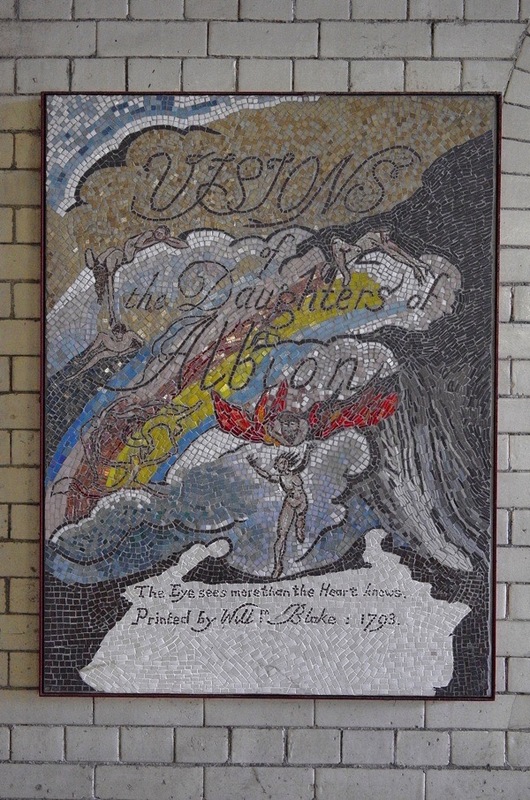 Thank you for this tribute to William Blake, the mosaics are lovely and congratulations to all those responsible for them. 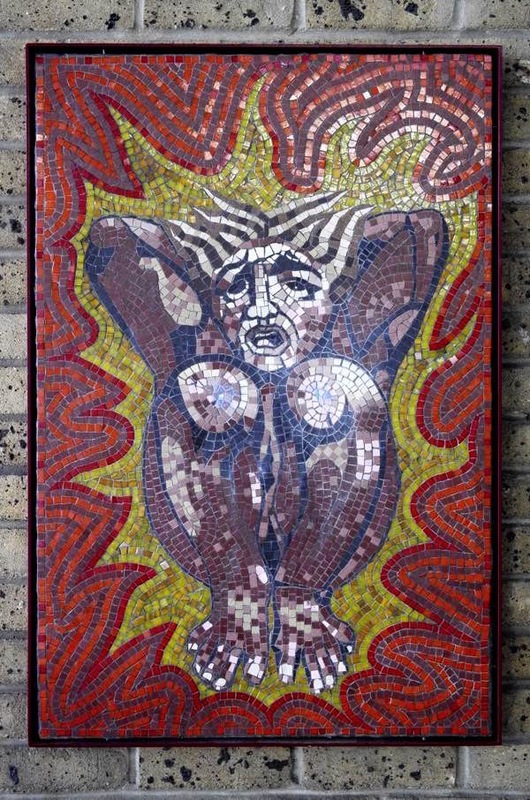 So many of my ancestors lived in Lambeth, the Greenwoods and Tearoes in particular and my great grandmother Rose Fielder was born in a house overlooking the Archbishop’s garden so I was really interested in this piece although so much has changed since those days. 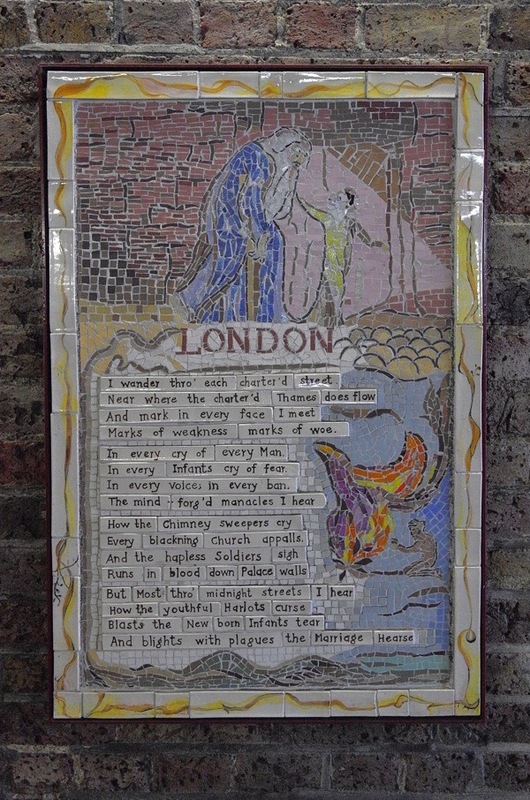 My earliest Tearoes were watermen on the Archbishop’s barge and Sextons at St Mary Lambeth as well until more recent times so I can’t help but wonder if they would have known William Blake. 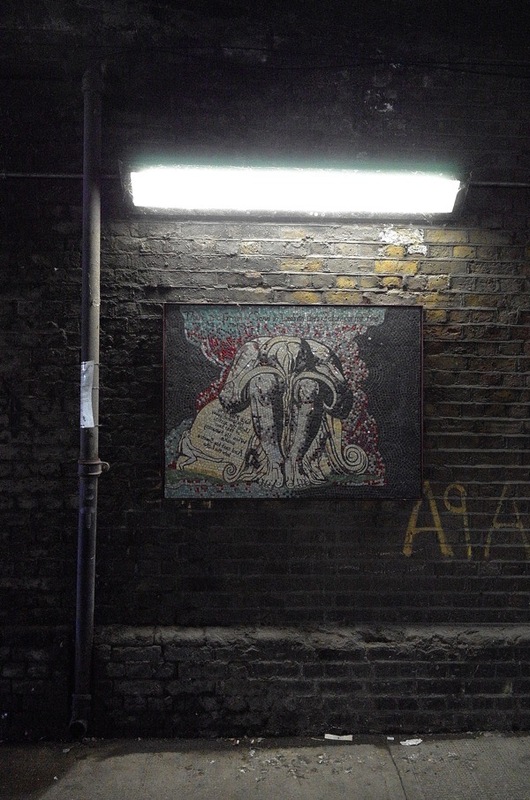 My father was a Lambeth boy way back around 1910 and I still remember all his stories, good bad and ugly..thank you, your daily Spitalfields life is truly magic.. Thank you for sharing these wonderful murals. In these troubled times Blake is my consolation and reminder of what it means to be human. 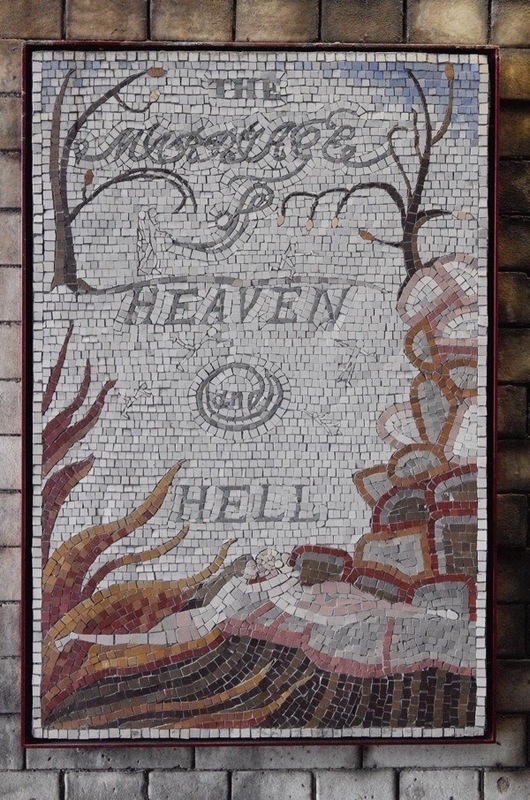 In Marshall Street (top left hand corner of Soho) there’s a building called William Blake House, built on the site of the house where he was born. 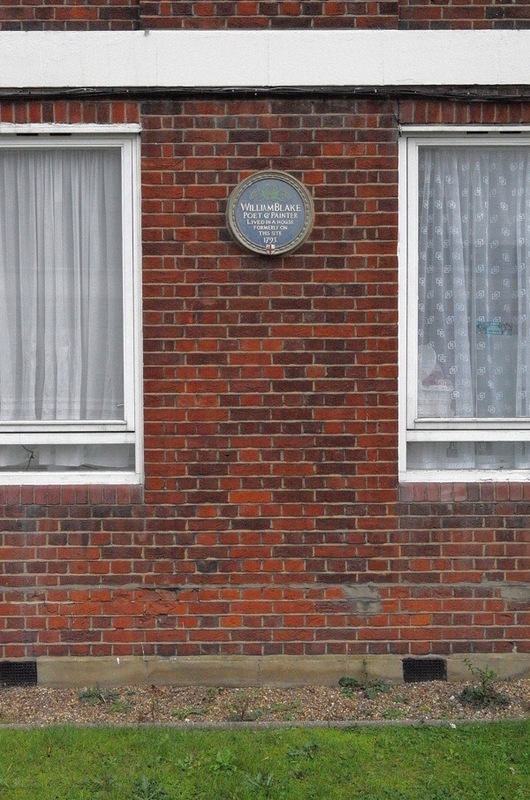 No blue plaque but a large sign. I’m not sure whether it’s offices or flats but whatever it is it’s spectacularly ugly. Fascinating. Thank you. Will visit this weekend. 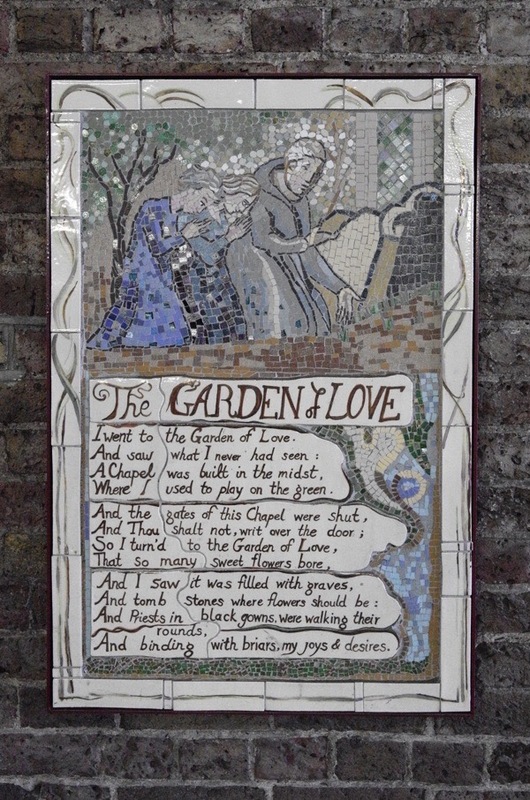 The ledger stone marking Blake’s actual burial spot in Bunhill Fields will be installed in August this year.